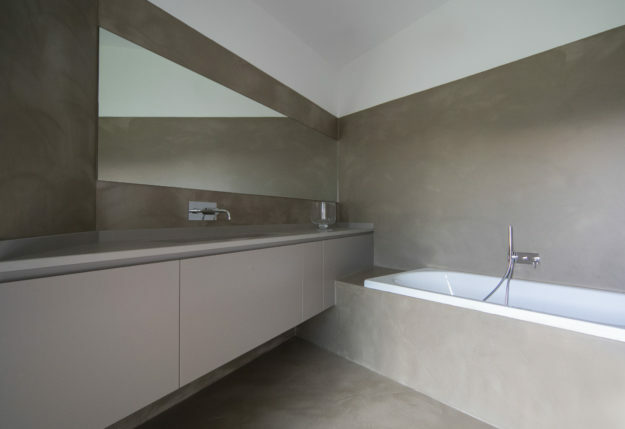 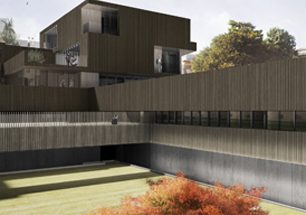 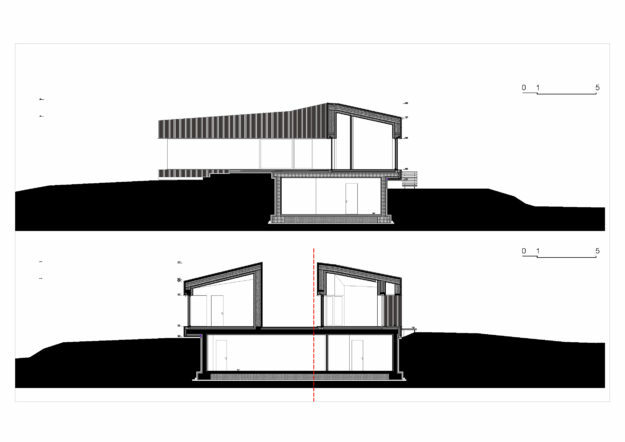 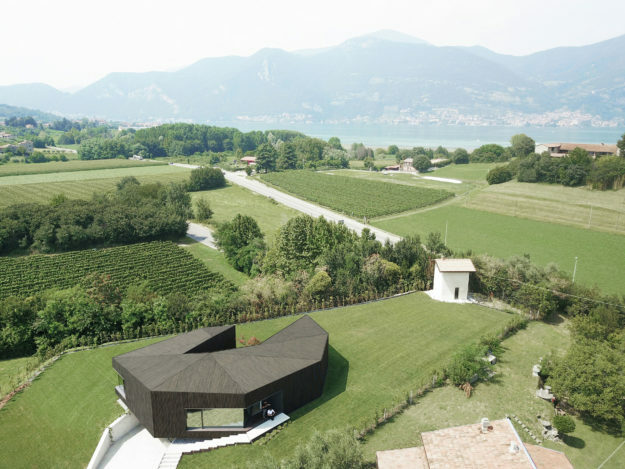 The project is site on a hill, address towards the Adamello ‘s Mountain and the Iseo lake, with a view that it opens on the Natural Reservation of the Sebino’s peat bog. 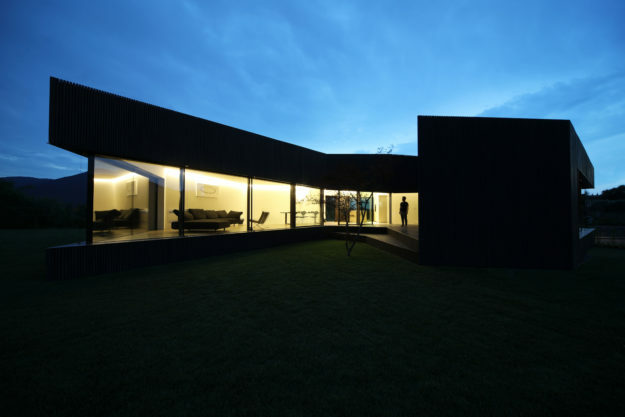 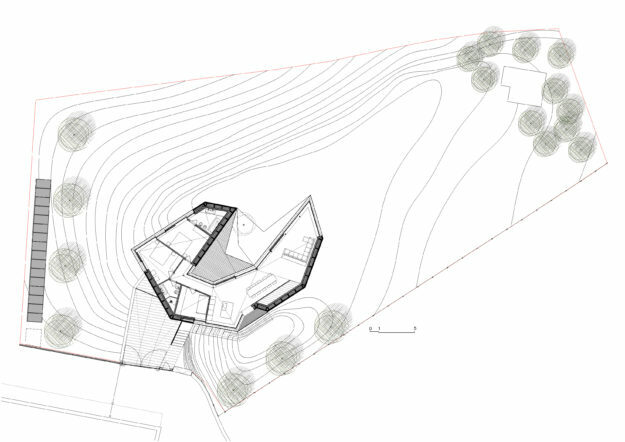 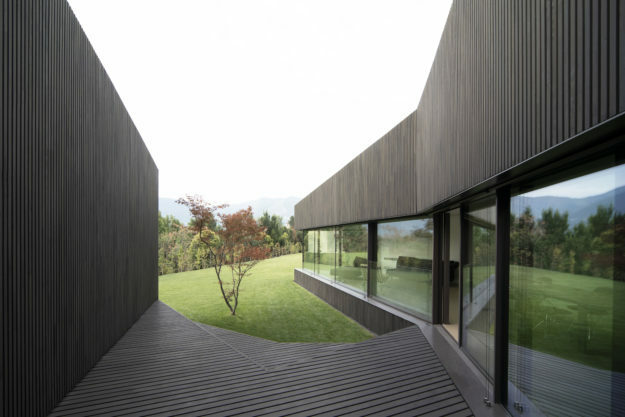 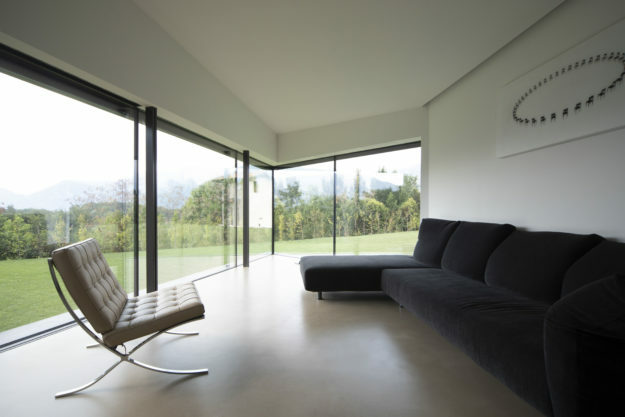 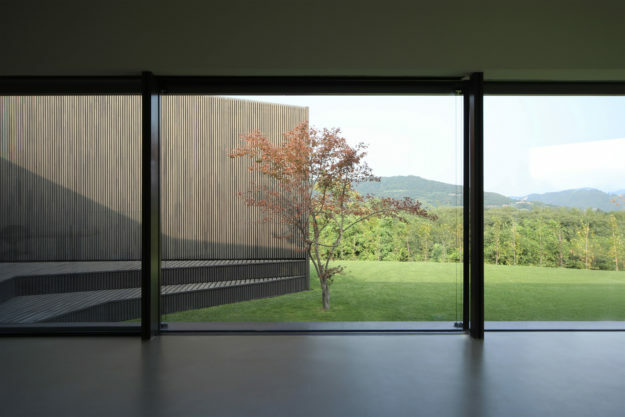 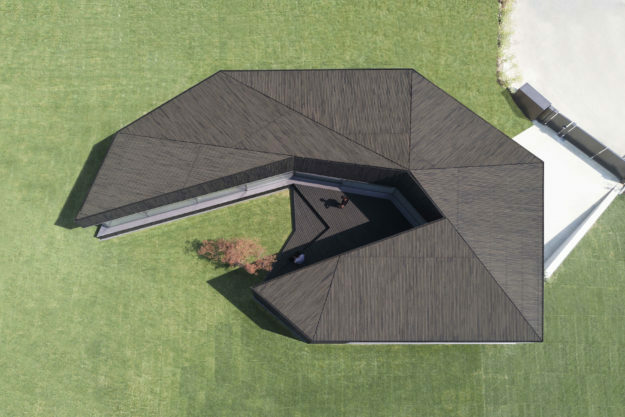 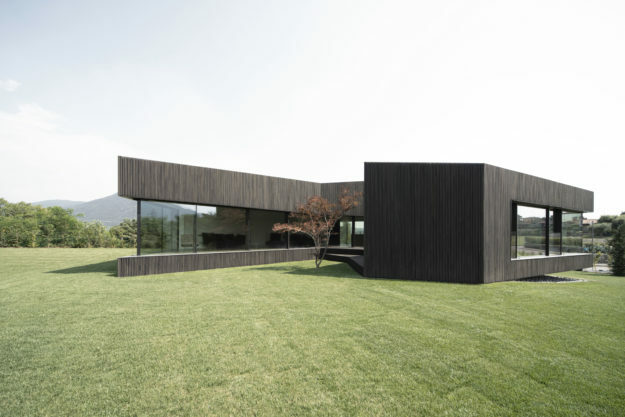 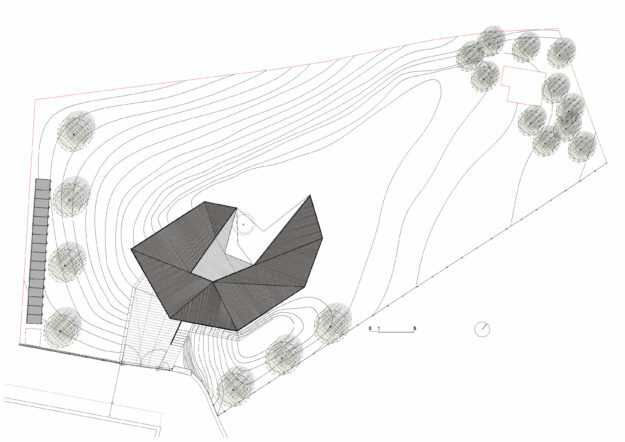 The house defines its own occupying modality starting from two innovative elements: the connection with the ground and the relationship with the landscape. 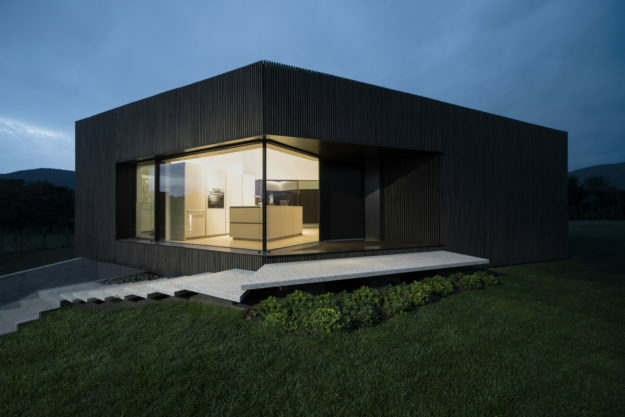 The intention is to realize exemplar architecture in relation with the surroundings, which it looks as always existed but, in the same time, it would be the expression of a contemporary domesticity idea. 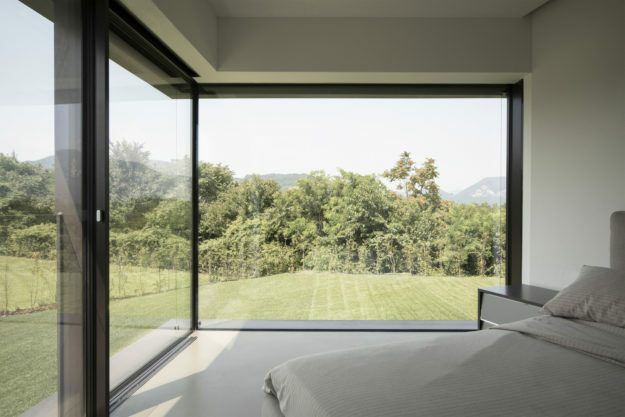 The house presents a C irregular installation, collecting the relations with the different geographic encircling outline, and selecting the view both with the living room areas, that its pointing to the courtyard and to the Adamello’s Mountains, and the sleeping areas with continuous glass wall towards the lake: the house is, in this way, configured as a suspended roof between the ground and the sky. 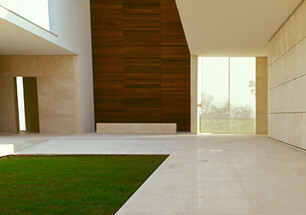 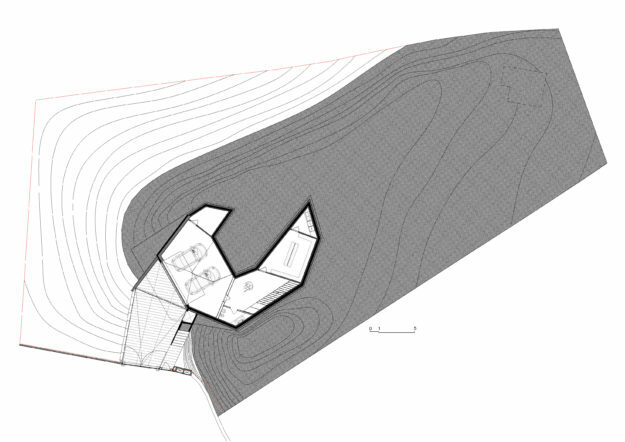 In his relation with the ground, the house is placed on a upper level in respect to the site; this solution gives the possibility to maintain the house with a very low volume, taking advantage from the different height in direction of the entrance, where it is possible to obtain a space for the parking lot and for a staircase, that it is connected with the upper floor. 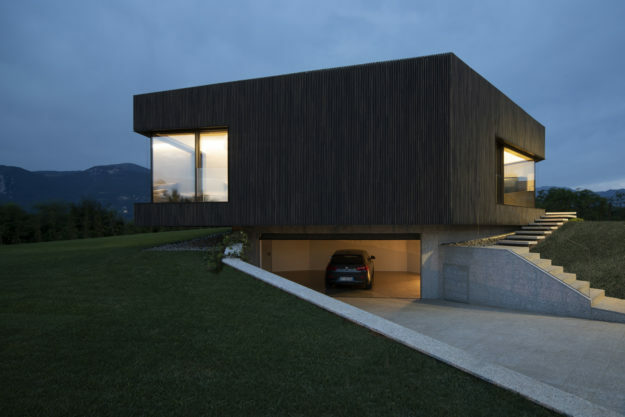 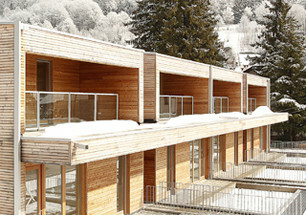 The use of natural materials, such as the wood, enhances the house and links it strongly to the colours of the landscape.